Come with the group (min.4 people/ max. 10) to the beautiful Salt Therapy room with walls made of blocks of purest Himalayan salt. 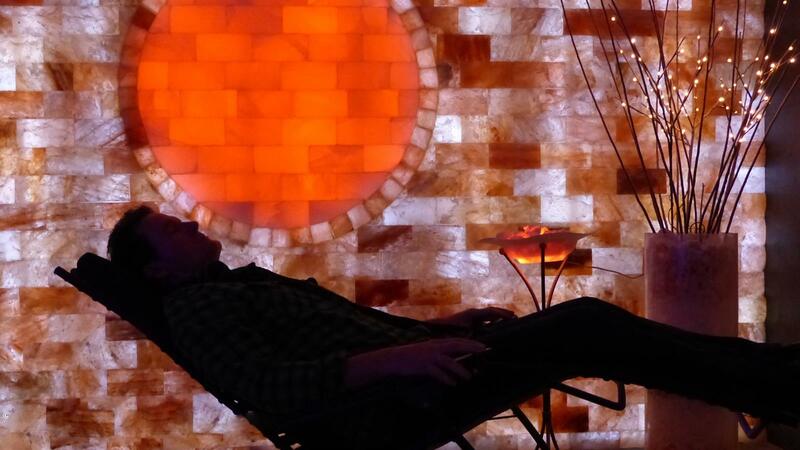 Relax in zero gravity chairs while listening to soft, soothing music. The air is saturated with micro particles of salt that can be easily absorbed through the skin and deep into the lungs. Salt Therapy relieves symptoms of: Allergies, Asthma, Cold, Insomnia and more. You will leave rejuvenated. Session lasts 50min.